I was always inspired by this vanity, and used it as the model for ours. The exception being that we added a floating salvaged wood shelf for storage. I couldn't wait to finally be able to use the basin I'd been holding onto for years! 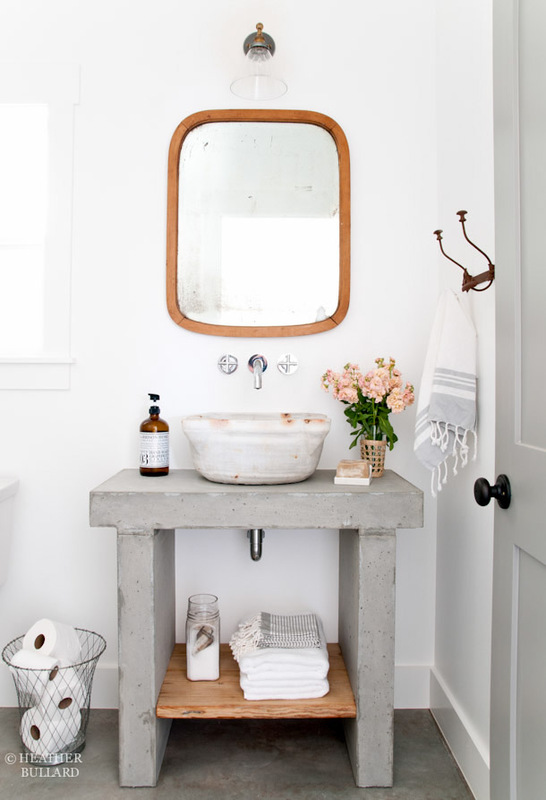 Here's an overview of how the concrete vanity was made... You can click on photos to enlarge. And one more peek at how it looks today in my studio. I'm absolutely thrilled when ideas come to fruition. And thankful to be married to a man that encourages and helps me in making them happen.